J. 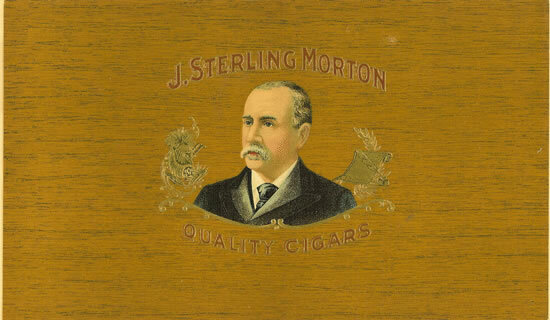 Sterling Morton was born in Adams, Jefferson County, New Yorkon April 22, 1832 and died on April 27, 1902. He is most noted as President Grover Cleveland's Secretary of Agriculture. After his education he moved with his bride to the Nebraska territroy. He was appointed Secretary of Nebraska Territory by James Buchanan on July 12, 1858 which he served as until 1861. Respected as an agriculturalist, he sought to instruct people in the modern techniques of farming and forestry. Among his most significant achievements was the founding of Arbor Day. He became well known in Nebraska for his political, agricultural, and literary activities and from there was appointed as Secretary of Agriculture by President Cleveland. Son Joy Morton was the founder of the Morton Salt Company in Chicago, Illinois, and created The Morton Arboretum in Lisle, Illinois, in 1922. His son, Paul Morton, served as Secretary of the Navy under President Theodore Roosevelt from 1904 to 1905.